Read before you sign. It seems like good advice in any setting, but Loriann E. Fuhrer says a surprising number of breach-of-contract cases come about simply because the breaching party did not read or understand the terms of the contract into which it had entered. “Certainly, paying attention to the details of the obligations placed on your company by the contracts it enters goes a long way toward preventing an inadvertent breach,” says Fuhrer, a director at Kegler, Brown, Hill + Ritter. But not all breaches of contract are that simple. Contract language, however well-intended, can often be ambiguous or susceptible to more than one interpretation. 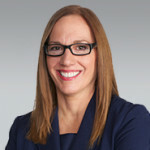 “It is helpful to have someone who litigates contract disputes weigh in on whether a breach of the contract has occurred and what options there are for either bringing the relationship back on track or recovering damages,” Fuhrer says. Smart Business spoke with Fuhrer about what to do when a breach of contract occurs and how to prevent it from happening in the first place. What are common types of breach of contract? Most breaches of contract are backward-looking and relate to what happened in the past. These typically fall into two general categories. Either a party fails to perform an obligation that is required by the contract or it takes an action that is prohibited by the contract. Depending on the terms of the particular contract at issue, either action or inaction may be the basis of a breach of the contract. Some breaches are forward-looking. An anticipatory breach of contract is where a party states its intention not to perform its obligations in the future. Even though the time for performance may not yet have arrived, expressing an intention not to perform future obligations can actually amount to a present breach of contract. Once a breach of contract occurs, what steps should the company take? If you’re the non-breaching party, give thought immediately to how to minimize your damages. Every party to a contract has a duty to mitigate damages, so you can’t wait around forever, letting your damages mount, if there are steps you could reasonably take to minimize them. If you are thinking about suspending your own performance under the contract because of a breach by the other party, you have to think about and determine whether the breach was material or nonmaterial. Under Ohio law, only a material breach excuses further performance by the non-breaching party. If a company has some question about whether there was a breach, or whether that breach was material, contact an attorney experienced in helping businesses deal with breach-of-contract disputes. You also want to make sure you keep all records. Documentation of the breach, and any damages accrued, will be important if the matter ends up in court. Is a breach of contract preventable? Maintain good and open communication with the other party about how the relationship is going and whether expectations are being met to identify and correct problems before they get out of hand. Breaches of contract are sometimes simply the result of bad communication. What if litigation becomes necessary? If litigation becomes necessary, you and your attorney will go back to the contract to find out, for example, what law applies to the action, and where it can be brought. Most commercial contracts contain provisions that select the applicable law and the agreed-upon forum. Some contracts contain arbitration provisions, which are routinely enforced, and which mean that any dispute will be decided by one or more arbitrators, rather than by a judge or jury. Sometimes contracts will also have provisions that govern what damages will be recoverable in the event of a breach, and how they will be measured. Ohio law generally presumes that businesses know what they are doing when they enter into contracts. Typically, the unambiguous terms of a contract will be enforced to the letter. Companies would be well-advised to understand their contracts, to perform their obligations and to hold trading partners to their obligations.